Masterful Laser Cutter with Pretty Pop Culture Filled Designs. Produced in Bulk Batches, but Finished by Hand One at a Time. Jewelry is an excellent source of self-expression, whether you're matching a particular fashion style or paying homage to favored theme. 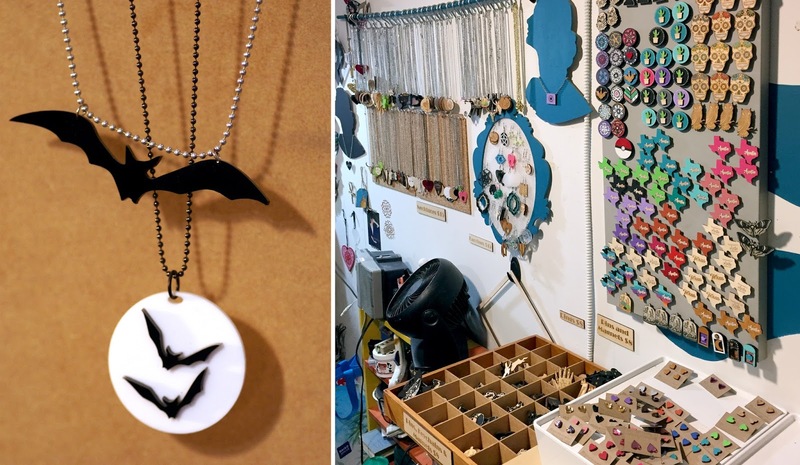 With creative makers like Katie Cowden of Killer Queen Designs you can wear a different statement everyday. She has that many fabulous choices! 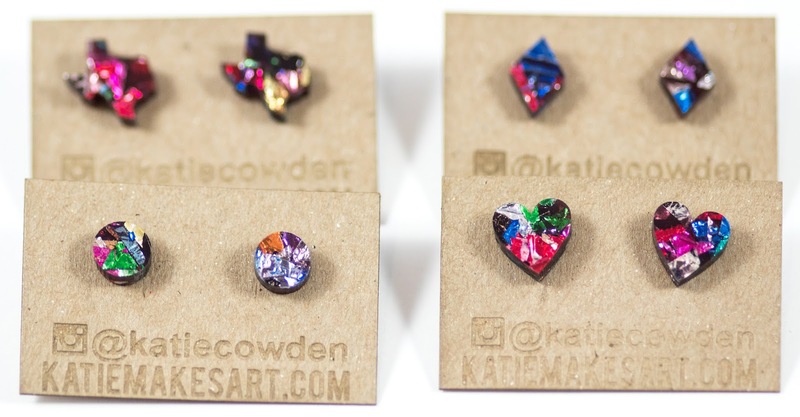 From the more simple heart shaped studs to fan fiction pieces for Doctor Whovians. 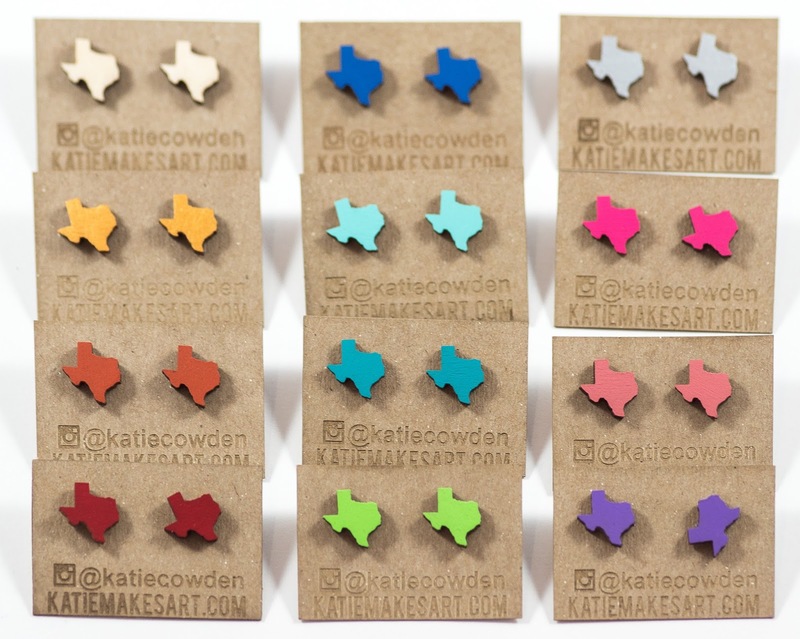 Katie primarily uses laser cutting and etching to achieve her designs in wood or sometimes acrylic. She renders these references to pop culture and nerd culture at small, wearable scale which is not an easy feat, but the details are beautifully and carefully rendered. Many of her designs are then hand painted for further styling. The individual attention Katie gives her earrings, magnets and pendants really shows. I love how much of her personality also shines through! Katie is experienced in a wide range of media and continues experimenting with different combinations of techniques for her designs. She also has a never ending pool of inspiration for new pieces given her vast interests in everything from local pride to cult figures to witches to happy colors. Even she will admit that she sometimes loses track of how many designs she has in rotation at one time. Her studio is full of pieces in progress, new designs, old designs, tools, bright colors, random inspiration and more. All marks of an artist living the dream! 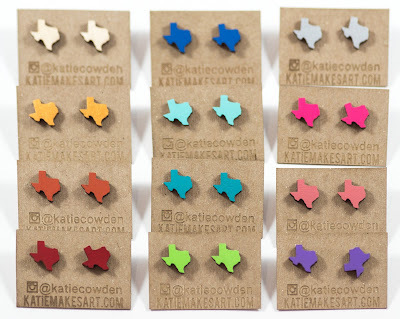 You can find Katie's pieces online as well as in a variety of local boutiques and handmade stores. Here's to laser cutting done beautifully!